The issue with Facetime app is while making Facetime audio/video calling to a contact and after the user ends the call the iPhone got stuck on the screen. It will stay like this for long time. When the iPhone X is stuck on Facetime call screen users are not able to restart of turn off the iPhone. Or even could not kill the app. Clearly cannot reboot iphone X in the regular way once it is hanged /stuck in the Facetime call screen. Some users are waiting to battery to die out to iPhone can restart itself. 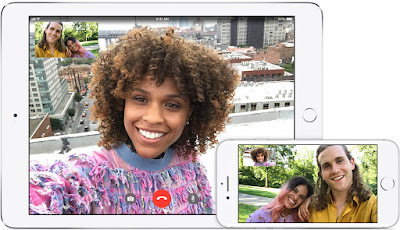 “iphone x stuck on facetime ending” –The issue is even reported with latest iOS11.3 as well. Go to settings->general->scroll all the way to end ->shut down-> it will shut down your iPhone X. Now you should turn in back on and phone should be normal. But the issue iphone x frozen on facetime will occur again after next Facetime call and you have to keep rebooting your iPhone. Having to restart phone from settings every time I use FaceTime is really annoying. On your iPhone X: Press and quickly release the Volume Up button. Press and quickly release the Volume Down button. Then, press and hold the Side button until you see the Apple logo. But restarting or hard resetting the iphone each time this happens which is every other FaceTime call is not at all expected from an expensive phone. When contacted the Apple customer care, there are no updates or any fix available to them. They are only recommending restarting the iPhone to get rid from this which is very annoying. Clearly Apple should address this issue ASAP in upcoming releases. So if you are also facing this issue you should also keep updating your iPhone X to latest version to check of Apple have fixed in the current release.